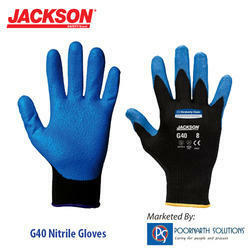 Leading Manufacturer of purple nitrile examination glove, jackson safety g40 nitrile gloves, jackson safety g40 latex gloves, chemical resistance gloves, jackson safety g29 solvent glove and powder free arctic blue nitrile gloves from Delhi. Make safety and productivity priorities by choosing Personal Protective Equipment (PPE) that allows for comfort and freedom of movement. 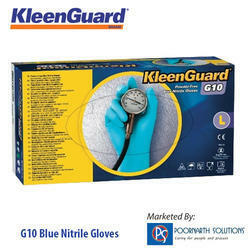 Minimise risk and help boost productivity with our wide range of Gloves. 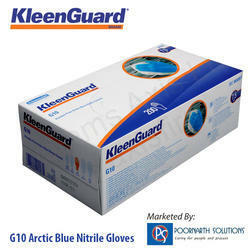 These ambidextrous examination Nitrile General Purpose Gloves have textured fingertips for better grip. PPE Category II, gloves to protect hands against mechanical hazards, get the job done safely. 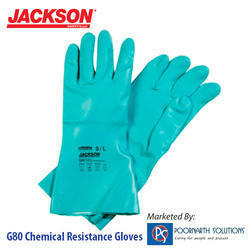 JACKSON SAFETY* G80 NITRILE* Chemical Resistant Gloves provide protection against acids, caustics, bases, solvents and other aqueous solutions. The product, quality and packaging improvements provide enhanced chemical resistance, improved durability and comfort, as well as environmentally improved packaging. 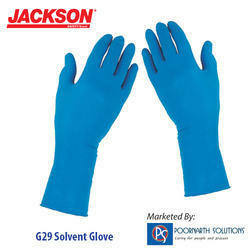 The Jackson Safety* G29 Solvent glove allows workers handling solvents to do their job in a safe and productive manner while providing a level of dexterity similar to thin mil gloves. 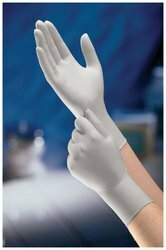 Powder Free Arctic Blue Nitrile Gloves offer the protection, performance and comfort of nitrile at an affordable everyday latex price. They offer excellent tactile sensitivity and are stronger than thicker mil competitive alternatives. They feature textured fingertips and are latex and powder-free. 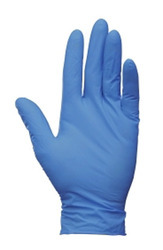 All at a value that makes this nitrile glove a great alternative to latex. 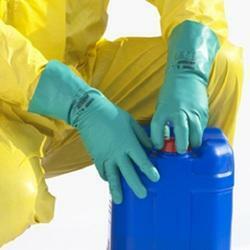 We are well-known names involved in the trade of the Nitrile Cut Resistant Gloves. Our wide range is widely appreciated for providing outstanding protection to workers against cutting or laceration risk. Our product is manufactured with the usage of the superior quality of raw materials. 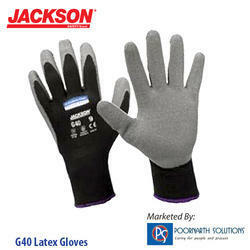 These gloves are comfortable to wear and are offered at industry leading prices. 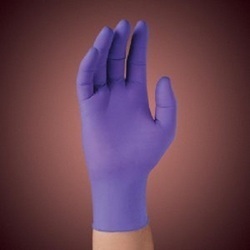 2 Selling Nitrile Exam Glove in the U.S.
Purple Nitrile Gloves offered can be made available by us in small, medium a well as large size options and come developed keeping in mind all the safety concerns workers face while working in a particular industrial working environment. These gloves find use as personal protective equipment and allow complete usage comfort as well as freedom of movement to the hands. 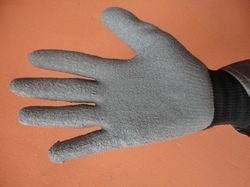 Some of its features include minimizing risks to hand areas, textured fingertips for better gripping support, suitable for use in areas like auto component, oil and gas and other industries; better abrasion resistance, protecting palm areas against non-acidic liquids, seamless nylon knitted backing for superior breath ability, static dissipative finish. 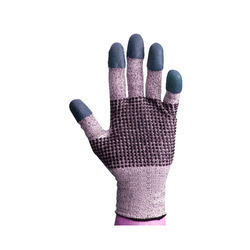 Heat Resistant Gloves offered come in quality construction finish and are well recognized in the industry as best quality heat resistant gloves. These come developed from quality raw material and offer appropriate protection from heat while handling varied industrial processes. 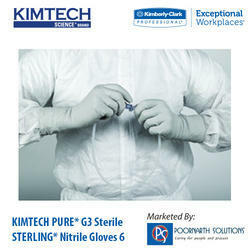 Kimberly-Clark STERLING* Nitrile-XTRA* Exam Gloves provide excellent fit and feel compared to latex. 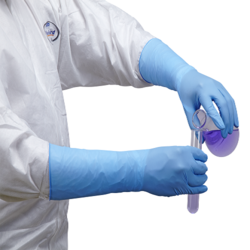 The new nitrile formulation provides excellent comfort and stretch compared to the previous glove, without sacrificing any of Sterling* Nitrile’s barrier properties or durability. They also have an Acceptable Quality Level (AQL) of 1.5. That means Sterling* Exam Gloves are significantly less likely to have critical defects than exam gloves that just meet the ASTM 2.5 AQL requirement.